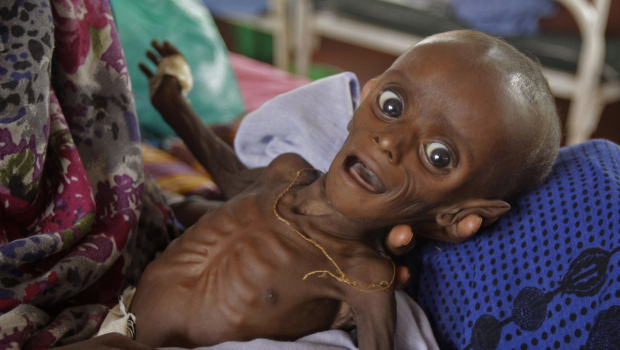 The famine that occurred in the Horn of Africa in the second half of 2011 had devastating consequences for the people living there. It was considered to be the worst drought the region faced in 60 years, killing thousands of people and leaving millions more displaced and malnourished. For the majority of the disaster, the Western world was in denial about the existence of the famine- it was simply inconvenient to consider the turmoil people were suffering half way across the world. Moreover, it was very easy to lie to ourselves and ignore the situation because of the factor of distance. The slow and subpar response to the disaster led to unnecessary deaths, disease, and dislocation, forcing the international community to re-evaluate the way humanitarian efforts are conducted. According to the United Nations, the meteorological conditions in East Africa in 2012 are similar to the ones which led to the East Africa drought of 2011. The international community has to choose between the denial and lies they showed in the 2011 crisis or acting together and responding to the crisis before it proliferates. Denial is like a famine in itself, a famine of humanitarian behaviour. The choice to remain ignorant, to remain in denial is to avoid confrontation and discomfort to our comfortable lives. The lies told to ourselves and the Western world in order to remain in denial is a sick, pervasive and cowardly display of using the freedom we are gifted to deny the truth and help. Nevertheless, there are many challenges facing serious, effective action in the Horn of Africa, most of them stemming from the poor response in 2011. Firstly, there is a serious refugee problem in Eastern Africa, primarily located in southern Somalia and the Somalia-Kenya border. The refugee problem is compacted in the largest refugee camp in the world- Dadaab. It is located in the North Eastern Province in Kenya, and since it is 100km away from the Somalian border, it contains refugees from both nations. The capacity of the camp is stated as being 90,000, but with the East African drought the actual occupancy began to drastically increase. At the height of the crisis, approximately 1000 people were arriving every day, all in need of serious aid. By the end of 2011, Doctors Without Borders claimed that the population of the refugee camp had increased to half a million. In the current crisis, it is important to quickly create adequate conditions for refugees to live in. Many people are in denial about the poor state of these people’s lives, mainly because they believe they are being taken care of by the United Nations. However, this is a false belief because there are many problems faced with receiving funding, leading to undeveloped infrastructure. The people do not have adequate sanitation, housing, or security in Dadaab. Men must leave the camp for firewood and water, leaving women vulnerable to attacks. What’s more, there is a severe increase in air-borne and water borne disease among refugees, including measles, cholera, and malaria. Providing aid to the people of Somalia is difficult because proper and secure channels must be set in place. The current situation does not facilitate the transfer of aid money directly to the people who need it. It is often stolen by militant groups, corrupt government officials, and even Somali pirates in some cases. In order to prevent the devastating annihilation of people in the Horn of Africa, the international community must provide a quick and substantial response to the nascent symptoms of drought present in Somalia and the rest of East Africa. I recently read an article that appears on the World Transformation Movements Website which discusses denial in society which I found incredibly interesting .